UPDATE: Part 2 is finished! Click here to read part 2! UPDATE: There is now a part 3 as well! Click here to read part 3! When battling Meniere’s disease, with all its hardships and difficulties, I find that sometimes it’s the lesser symptoms that are the most frustrating. 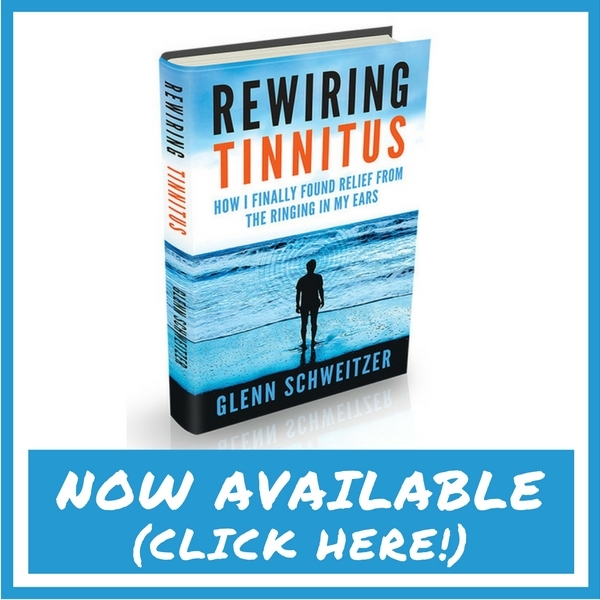 Even if you happen to have gained some semblance of control over the vertigo, learned to ignore the tinnitus, and live an overall healthy lifestyle, brain fog can quickly derail any momentum you may have working for you. It can bring your productivity to a grinding halt and can rob you of precious hope. Brain fog is an insidious phenomenon. It will not handicap you like vertigo will, but can impair your quality of life considerably. So what is brain fog? 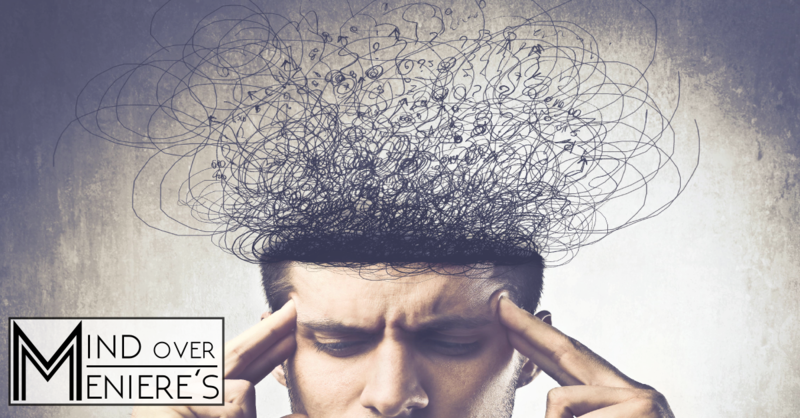 Loosely defined, brain fog is a form of fluctuating cognitive impairment that affects concentration, executive function, decision making, memory, and word recall. For sufferers of Meniere’s disease and other vestibular disorders, brain fog is a seemingly ever-present clouding of consciousness and an unfortunate reality. Fear not though, there are many ways to fight back against brain fog. Some methods are lifestyle based, and subtle in their approach, while other methods are much more direct and combat the symptoms of brain fog at the chemical level. Between these two extremes, there are also many other techniques for managing the specific symptoms of brain fog. This article will be part 1 in an exploration of treatment strategies for winning in the struggle against brain fog. Many of the lifestyle management techniques for managing brain fog mirror the lifestyle management techniques for managing Meniere’s disease. Sleep, diet, mediation and exercise all play specific rolls in lessening the impact of brain fog. These lifestyle changes will serve as a foundation to build on. Without this foundation, all other treatment strategies will be unsuccessful. I will briefly examine the impact of each in this section. For me personally, sleep is the glue that holds all of my treatment efforts together. When I get plenty of high quality sleep, I find that my symptoms are manageable and lessened. When I don’t get enough though, the ravaging effects of sleep deprivation quickly sabotage my recovery. Brain fog is always the first sign; a warning that more symptoms are on their way. Just one night of impaired sleep is enough to start cognitive decline in a normal healthy person. Worse still, the effects of sleep deprivation compound quickly. Getting enough sleep each night is your first line of defense against brain fog. With Meniere’s disease, we are already starting out with the cognitive disadvantage of brain fog; sleep deprivation will make it much worse and handicap your treatment efforts. Your diet can also have a significant impact on the severity of your brain fog, as well as your other symptoms. Knowing your food allergies, sensitivities, and triggers will go a long way towards managing brain fog. For me personally, my symptoms are triggered by sodium, milk and as a consequence dairy. If I ignore this and eat ice cream, I get brain fog every single time. Keep a journal to help identify your food triggers and sensitives. Sometimes just cleaning up your diet is enough to make a noticeable difference in the intensity of your brain fog. It probably won’t be enough to eliminate it, but it will make a dent and every little bit adds up. Avoid food triggers, allergies, and sensitivities while eating organic, whole foods whenever possible. Dehydration can also contribute towards brain fog. Make sure to drink plenty of water throughout the day and stay hydrated. Remember, coffee, juice, tea, and soda, don’t count; stick to water for maximum benefit. Exercise can also help to decrease brain fog. I find this to be a particularly effective method. If your other symptoms are currently bad, this may not be an option. Keep in mind however, that simply going for a walk can be enough. If you can muster the strength and balance to go for a short walk around your neighborhood, it can make a huge difference. The endorphins released during exercise are a powerful force for strengthening mental clarity. I find that when my brain fog is bad, a nice long walk or jog is enough to cut through the haze. I usually feel much sharper afterwards. A meditation practice can help as well. I find 20 minutes of meditation has the power to reduce brain fog considerably. A daily meditation practice works even better. The cumulative effect of the practice will reduce brain fog even further. Life constantly requires us to creatively solve problems and come up with ideas. Brain fog can make this extremely difficult. It’s hard to come up with good ideas when your brain feels like mush. You can reduce the impact of brain fog and strengthen your creative abilities by adopting a simple creativity practice into your daily routine. The basic technique here is simple. Every day, grab a piece of paper and a pen, and choose a topic. Next come up with a list of ten ideas based on that topic. For example, yesterday my list was 10 articles I could write for this blog. Some other examples for list topics could be, 10 ideas of products for my cat, 10 gift ideas for my significant other, or 10 things that could help me at work. This practice is like lifting weights with your brain. After 6 or 7 ideas it usually gets hard; I tend to break a mental sweat. This is the goal. You are forcing your mind to think hard and generate ideas. I highly recommend the book “Becoming an Idea Machine” by Claudia Altucher. It provides 6 months’ worth of daily prompts for this practice and is an excellent resource for learning more about this method. I’ve practiced this daily for months and have found that I constantly have a flow of ideas when I need them. It counteracts some of the effects of brain fog quite well. I also find that by forcing myself to do this exercise when my brain fog is at its worse, it reduces the severity. Nothing seems to get my brain firing like forced concentration and the “ah ha” moment that precedes a great idea. I have found this to work with other creative practices as well. If writing is more your style, set time aside daily to write. You can find hundreds of creative writing prompts here. If you consider yourself an artist, set time aside each day to create or work on your art. The principal is the same. You are taking time every day to strengthen your creative muscles. The more regularly you do this, the less your creativity will be affected when brain fog strikes. Disclaimer: I am not a doctor and don’t pretend to play one on the internet. Everyone is different and all supplements can have side effects. Please speak to your doctor or medical professional before taking any new supplement or drug. The following are my personal opinions only! Of everything I have found to work against brain fog, nothing has worked better or more immediately than Nootropic supplements. Nootropics are any over the counter herbs, vitamins, supplements, and nutraceuticals that are known to improve and enhance cognitive functions such as concentration, attention, and memory. Caffeine for example, is considered a Nootropic substance. However caffeine is a common trigger for Meniere’s symptoms and is often not an option. If you find however, that you are not triggered by caffeine, a cup of coffee can help to temporarily decrease brain fog. There are a wide variety of other compounds though, both artificial and natural, that fall under this umbrella. Many have been extensively studied and researched, though some have not. I only intend to provide a brief introduction to Nootropics at this time and highly advise you speak with your doctor before trying anything. At some point in the future I will write an article covering Nootropics in much greater detail. Many of the Nootropic supplements tend to work best when combined. These combinations are known as Nootropic stacks and often have powerful synergistic effects. Though some people create these stacks on their own, many companies offer pre-formulated combinations. One of the most common Nootropic stacks, is the combination of caffeine and L-theanine (a calming substance found in green tea). This combination provides the cognitive benefits of the caffeine with the calming effect of the L-theanine for focused concentration without jitteriness. I have personally tried many pre-formulated products, but the one that I feel comfortable mentioning, is a product called Alpha Brain, produced by Onnit Labs (I am not affiliated with Onnit Labs in any capacity). I have had tremendous success with this product over the last year or so, and Alpha Brain is the only product I know of that has undergone clinical trials. The results were highly positive. You can find alpha brain on Amazon as well. I find that on days where my brain fog is most intense, a single dose of Alpha Brain reduces my brain fog significantly for 4-6 hours. Sometimes it’s the difference between having enough focus to get my work done or not. It improves my memory and decreases the notorious “tip of the tongue syndrome” where you can’t recall words. It works by increasing the amount of neurotransmitter Acetylcholine in your brain. Higher Acetylcholine levels are linked to increased focus, concentration, and executive function. There is no magic bullet for eliminating brain fog but the cumulative effect of all of these techniques can reduce it considerably. In part 2, I will explore more techniques for fighting brain fog, specifically focusing on improving memory and energy levels. Stay tuned and subscribe to my email list today! I don’t really have any special routine that I use prior to writing. The best advice I can give is just to write a little bit every day. I find writing is a muscle and you have to keep writing every day to keep it active. Also doing a bit of planning and outlining before you start can help get you get going faster. If it only takes you 10-15 minutes to get started, I would say thats pretty good! Sometimes it takes me a lot longer then that. Are you in a any way tied to nootropics? Do you sell their product or work for them I any way? I’m curious. Hi Dana. No I am not involved with Onnit in any capacity. I don’t work for them directly or as an affiliate…I’m just a customer. I originally discovered Alpha Brain from a podcast that I listen to, and first tried it as a way to get a cognitive boost. It didn’t even occur to me that it might also help my brain fog. I discovered that completely by accident after the fact. I have experimented with many different Nootropics over the last year or so but Aplha Brain was the only one I mentioned because alpha is the only one that has undergone third party clinical testing and ha hard data to back up their claims. Sorry, I meant to say on it labs and/or alpha brain. You don’t have to buy or subscribe to anything. My solution to all symptoms and, about a 50% increase in hearing in the affected ear over the last one month is the complete exclusion of dairy products. Even quit the diuretics two weeks ago. I was having drop attacks as frequently as every week from the onset of the disease last year until I quit dairy. Hi Smeagol. I’m glad to see that quitting dairy has helped you so much. I think this may have to do with a dairy allergy or sensitivity though than an overall generalized treatment for Meniere’s disease or brain fog. When I was little I was diagnosed as being slightly allergic to milk. It seemed to go away over the years. But when I got Meniere’s all of a sudden it was a problem again. It was triggering my symptoms in a big way. Once I made the connection and stopped consuming dairy, It definitely helped, but I have other triggers as well that I still have to watch out for. It is definitely something to check for though and I’m glad you mentioned it. If someone is being triggered by dairy products, they can easily fix it and see an improvement in their symptoms! I’m currently on a mission to solve the problems I have with menieres using supplements/nootropics (along with diet/lifestyle of course). What I have learned is that I respond very well to vasodilators for obvious reasons (increased cerebral blood flow). Alpha Brain contains vinpocetine which is a powerful vasodilator. Alpha Brain also increases acetylcholine levels in the brain as it contains alpha GPC (good source of choline) and Huperzine A which is an acetylcholinisterase inhibitor (stops acetylcholine from breaking down). The more acetylcholine you have, the more focused you are. I’m not surprised you have had good results from using Alpha Brain, but it’s very expensive for what it is. You can most likely get the same results with a few bottles from the chemist for a fraction of the cost. I’ve had very good results using the aforementioned supplements and I can list some others that may help if anyone’s interested. I’m convinced that (for me) vasodilation is the key. Hey Telochian, I know its expensive but its the path of least resistance for me. I don’t take it every day so it ends up not costing too much. I’m very interested to hear which Nootropics you have tried and which work well for you. I have tried many more than just alpha brain. Alpha brain just happens to be the only one I felt comfortable recommending. Have you tried Modafinil? I haven’t but have been very curious about it lately. My next book is going to be exclusively on brain fog so I would definitely love to hear what works for you! Before I get into it I’d like to re-iterate what Glenn said earlier…….I’m no doctor and even though most nootropics and supplements are touted as being completely safe and having no side effects, in my experience, that’s not true. Actually Modafinil is what started this private crusade off, of course when you start looking into nootropics it’s the biggest and baddest of them all and that’s the best place to start…..right??? I personally don’t think it’s a nootropic in the strict definition of the word. I imported it from India (very bodgy process) and took it for a few days. During that time it certainly gave me plenty of energy both physical and mental, in fact it really did make me feel great, no brain fog at all, improved balance and plenty of other positives. After a few days I developed a histamine related rash (Modafinil is a histamine agonist) and given the warnings about SJS (Stevens Johnson Syndrome) I got off it immediately. I then had some quite severe rebound anxiety for a few days. After all was said and done I knew that Modafinil wasn’t something I felt I could take on a regular basis and it took it’s place inside my illustrious box of drugs and supplements I have bought and won’t be using again (fairly large and expensive box I might add). To me Modafinil is a drug, plain and simple and I’ve heard a lot of other doctors and researchers in this field give the same opinion. I’m not saying don’t try it, but be very careful. I have had some real ups and downs with learning about the almost countless nootropics and supplements that are available. The best and most consistent results I have had have been through using Phenylpiracetam in conjunction with other cholinergenics like Alpha GPC or CDP choline. I have also used Acetylcholine inhibitors like Galantamine and Centrophenoxine (like DMAE) to great effect. Other members of the Racetam family are also useful, Pramiracetam clears my ear like nothing else but can tend to make me irritable sometimes (it is great for creative writing though) and Aniracetam is more calming and anxiolytic. Phenylpiracetam, at least for me has been a godsend. It clears my ear, improves my balance, absolutely clears up brain fog, gives me more mental and physical endurance and has never made me irritable. It makes me much less anxious and more sociable and makes concentration ever so much easier. In terms of side effects, if I take too much late in the day I have trouble sleeping and I get the occasional headache which is fixed in a matter of minutes with some choline. Some people talk of developing a tolerance to it, but that has never been a problem for me and I have been using it regularly for over 12 months. In Russia where it originates (Fenotropil) it’s used primarily as a drug to alleviate motion sickness. It’s not surprising to me that it’s effective for Meniere’s. Sorry for the long post, I could go on forever, Picamilon, Phenibut, Kava, Ginko, Inositol, Methyl donors etc etc. Hey Telochian, this is great! Thank you so much for your reply. I have also experimented with several of the Nootropics you listed, but not all, especially some of the racetams you listed. I definitely want to continue this conversation but on here is probably not the best place to do it. I will send you an email later today. Thanks! No probs, I don’t post much online, virtually never. But I guess that I have felt let down by the status quo diuretic, serc or surgery routine that is thrown at us. Lifestyle and diet are key, no doubt, but that extra 10-20% that supplements can add is priceless really. I think your doing a good thing with this blog and hopefully it can give people some ideas for alternative treatments. What supplements do you utilize for brain fog ? Sorry i am very late on this one, but this question is to telochain, have you tried Adrafinil and are there any relief qualities from Adrafinil for Brain Fog and/or MD? Over the past several months, I have had brief bouts of vertigo that usually last no more than about 20 minutes. I’ve never had the characteristic “whooshing sound” accompanying the vertigo nor has it ever been debilitating. The things that are plaguing me on a daily basis are what you refer to as “brain fog”, tinnitus (mild), and very mild disequilibrium. I could live with everything but the brain fog is killing me. So why am I not sure of what I have? Well, the doctor who diagnosed me did so just based on asking me some questions. He basically said “you have Meniere’s” and sent me on my way with a pamphlet, prescription for diuretics, and a recommendation to reduce sodium. Since then, I’ve had an ECochG which came back negative. Furthermore, I’ve also been diagnosed with mild to moderate chronic pan-sinusitis which a regular ENT said could possibly cause my problems. I have tried reducing my sodium intake, which is really, really difficult, but that doesn’t seem to have any effect on the brain fog. Furthermore, I’ve had plenty of days where I’ve taken in more sodium than I should have and my symptoms are no worse. I just wish I knew what the answer was. In addition to avoiding your triggers, I’ve found getting my sleep right, reducing stress, getting exercise, and meditation all have helped me to battle brain fog. Working on creative projects that I’m passionate about, like writing, seem to help a lot too, as do certain supplements. It’s an ongoing struggle for me. I would definitely start keeping track of everything though with my free tool. We’re very good at finding the patterns when we have the right info in front of us. Just found this site and read part 1. Really really helpful, apart from anything else I have sent it to close friends and family just to explain some of the erratic behaviour (I can come to your party, NO I can’t! I’ll see you in town, No, I can’t!! and erratic emotions. I find that when I have brain fog and have a lot to do I get irritated very easily and can react in ways that aren’t helpful and aren’t the ‘real me’!) I’m looking forward to reading parts 2 and 3 and researching nootropics and their availability here in Sri Lanka where I live. Water is good of course but coffee, tea, soup, and soda do count towards hydration, as does fruit. My urologist told me so. Technically this is true, but caffeine is dehydrating, and the net effect is often dehydration rather than hydration.